Pelican Bay offers condominiums for those who want to experience maintenance-free living in a community surrounded with first class amenities and the clam pass preserve and wildlife habitat. You can choose from one of the high rise condominium projects along the Pelican Bay Preserve, which many units also over look the Gulf of Mexico. There are Pelican Bay condo projects that are along the fairways of the Club Pelican Bay golf course and others that overlook the fresh water lakes and lush landscaping. The condominium communities in Pelican Bay vary in square footage size, quality, location and pricing. There is a condominium to fit any ones criteria and price range. All residents have full access to the Pelican Bay beach tram system that takes you through mangrove forests and open bay waters to the beach side pavilion along with the use of the community center and sports facilities. 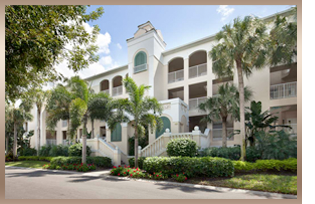 The Naples Philharmonic Center and Waterside shopping is just a short drive form any of the condominium communities. Real estate in Pelican Bay, especially the condos, are some of the most sough after in all of Naples due to their in town location, the private beach facility and a life style that can not be equaled in Naples.